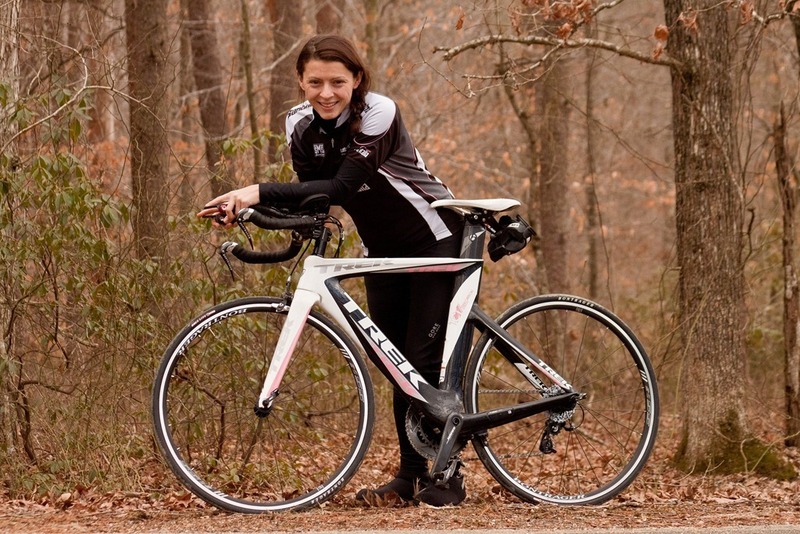 Yesterday I posted my updated 2013 “Gear I use List” regularly in my training or racing. As noted, it’s just stuff I personally use, not things being used for product reviews or the like. Today, we’ve got The Girl’s list – complete with her updates and additions for 2013. Also, I’ve been busy answering all your follow-up questions on yesterday’s post, especially into areas I didn’t otherwise cover (i.e. software/training apps, etc…). Swing back over to check that out. With that, I’ll hand it over to The Girl for the full list! From here on out, it’s all her speakin’. Enjoy! Swimsuit: TYR Sport Women’s Reversible Solid Diamondback Swim Suit – Unlike Ray I do not dabble in other swim suits. This is the suit for me. Goggles: Blue Seventy Element Goggles – These will last me at least 6-9 months depending on how much swimming we are doing. Originally I was not super stoked to buy pink goggles, but since I don’t loose my goggles as often as someone else in the household, this was a surefire way to assure that mine didn’t disappear. Also you might refer to another post Ray wrote on how I try to keep track of my own training gear. Swim Cap: Random Race Caps – I have never purchased a swim cap. I borrowed my first one from Ray after having swam for a month without one. Then after a few races they naturally accumulate. Swim Watch: Freestyle Women’s Shark – Don’t everybody scream, but yes, this is it. This is my favorite watch ever. Unless I am testing something for Ray this is what is on my wrist (in the pool). It does not have any download features or lap saving history. And to the frustration of Ray during a time-trial set, I will pause on every two flip turns, squint at the tiny screen to verify my split before pushing off…losing valuable seconds each time. Shampoo & Conditioner: Ultra Swim Shampoo & Ultra Swim Conditioner – This is mostly for the ladies. We know what the chlorine does to your hair, and usually being super rushed to get out of the pool in the early hours and off to work, we don’t always take good care. Here’s a tip from my hair stylist (who despises my swim hobby), just take a quarter sized glob of conditioner and rub it into the ends of your hair before twisting it back up into your cap. The rest of your hair will still get some conditioner love because the water that gets trapped in the cap spreads it out, and your hair gets a mini conditioning treatment while you workout! Voilà! Drills – Pool buoy: FINIS Foam Pull Buoy– Since I do not have as much “body” to float, I found that the speedo pull buoy that Ray and my coach use was a little over kill for me, so I scaled down to this “Junior” pull buoy and love it. Drills – Swimmer Snorkel: FINIS Swimmer’s Snorkel – This is useful for balance drills primarily, allowing me to focus on position (looking at hands, etc…) without having to come up for air. Openwater – Booties: Blueseventy Swim Socks – For 60*F and below water, I use these booties to keep my toes warm. Openwater – Swim Cap: Bluesventy Skull cap – Again, for super-cold water (Mr. Boise 70.3), I use this swim cap – but like Ray I also cut off the annoying chin strap (as most people do). Openwater – Anti-chaff: Refer to the running section below “Anti chafing-product”. Swim bag: I have a great gear bag that was part of the race swag given out at the St. John’s Triathlon (up in my hometown of St. John’s, Newfoundland, Canada). Openwater Swim Watch: Errrr, I refer above to my “pool watch”. Don’t be mad. Triathlon Bike: Trek Speed Concept WSD 7.0 – I have made amends with my triathlon bike. You might remember from last year that there was (in my opinion, and others) a faulty design with the derailleur that caused one small bump to completely render the frame unusable. After much pestering on my part and Ray’s we finally got Trek to replace the frame and thus I am happy again. I do love this bike in its working form. It’s a women’s design that allows the dimensions to fit me properly, my frame is actually an X-Small and for my specific measurements it’s like a glove! Commuter Bike: Alpina – This might be one of my single most favorite purchases! A little Italian made red rider for me to run all of my errands on, I added the basket to the back and you would be surprised by how well this bike handles cobble stones, in the rain, packed full of groceries! Power Meter: Quarq Cinqo – I bought this a few years ago because Ray and my coach told me to. I don’t get super into the technologies of these devices. All I care about is Quarq has provided outstanding customer service and this power meter is reliable! I’m happy. Update Note: As Ray mentioned in his post the Cinqo is no longer available so he moved to the Riken. Race Wheels: Zipp Wheel 404’s– I bought these from a pro 4 years ago, so mine are a different color than the ones in the link. Since my bike is set for 650 wheels rather than the “average person’s” 700 size wheels, they are a hard find but usually discounted when you do! I love them. 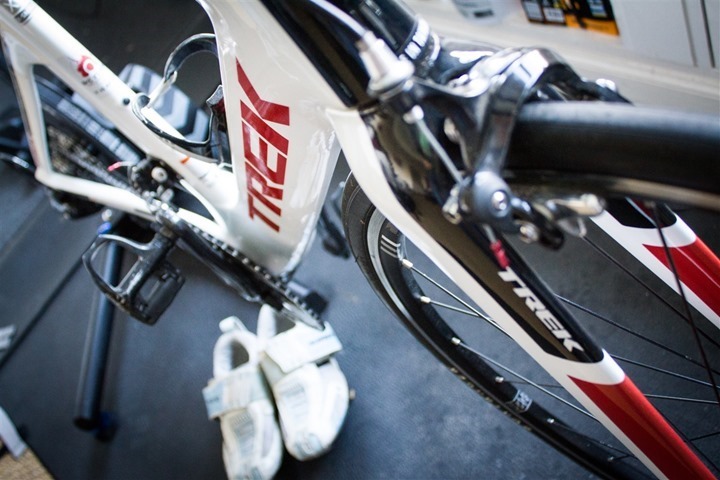 Bike Pedals: Shimano PD-6700 Ultegra SPD-SL – These are excellent. Rear rack system: XLAB – this thing is glorious. No issues with this system from mounting it to racing with it. Front hydration system: Profile Design Aero Bottle– This link is slightly different than the one I use. I bought mine before “insulated” bottles were available for this system; mine is just a hard plastic, otherwise the same. I really like this system, very straight forward and very easy to refill on the fly at a bottle station during a race. I like to stay in aero position all day long, so having the straw right there is perfect. CO2 Kit: This little kit from Performance fits right into my bike rack system as well, just like Ray’s does. Regular Helmet: Giro Atmos – I truly hate most helmet designs. Maybe I have a weird head shape, but they ALL give me headaches (no I’m not wearing a size too small). The Atmos + sandpaper customization has be tolerable. Aero Helmet: Giro Advantage 2 Helmet – If I didn’t look like a fool, I would be doing training rides in this helmet…less headaches. Bike shorts/bib: Sugoi Women’s RPM short – all I can say is these shorts changed my world. 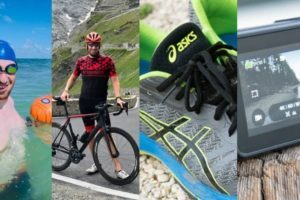 Bike Shoes: Shimano SH-WT52 Triathlon Shoes – I nearly croaked when I first saw the price of these shoes. But that was 2008, so 4 years later with no sign of needing new ones it turned out to be a pretty good investment! 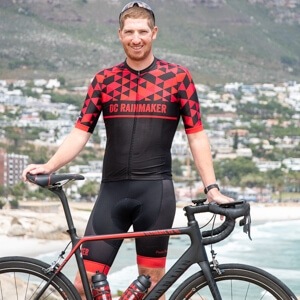 Cold Weather Long Sleeve Jersey: Under Armor thermal or Sugoi MidZero Arm Warmers – I don’t have an extensive bike jersey selection, I’d rather spend my money otherwise. Instead I layer a thermal shirt or arm warmers under a short sleeve jersey; these can then be used for running as well. If it’s super cold I go with the jacket below (or ride on my trainer). Cold Weather Bike Top: Sugoi Women’s Neo Jacket – This was a gift I received a few years ago; the link is for the “updated” jacket. This jacket runs small on sizing but I love it for cycling. Cold Weather Bike Tights: Gore Bike Wear Women’s Sportive Tight – These are great. Keep me warm and dry. Beware there is no chamois, so you need to layer bike shorts underneath. Bike Case: Aerus Biospeed Bike Case – Here’s a bit more in-detail on the case, and how we both use it while travelling. Bike Computer/GPS: Edge 500 This is a Ray hand-me-down. It works. I know how to work it. It talks to all of the other equipment I need it to. I’m not going to change what’s not broken. UNLESS… Garmin happened to send me a one off pink or all white Edge 500, then I would change (color). Ray doesn’t accept free things from companies, but I don’t know why I have been left out this whole time?!?! 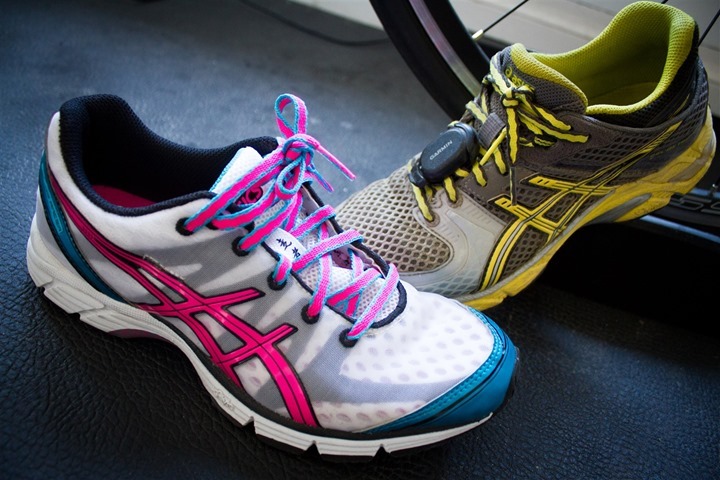 Running Shoes: Asics Women’s Gel-DS Trainer – Every runner has super different needs for running shoes, so I would suggest getting a good shoe fitting by a trusted running store or your physical therapist. I switched to the Gel-DS Trainer from the Kayano’s because it’s a much lighter shoe that still provides good support. I have tendonitis in one foot from an old dislocated metatarsal and the DS Trainer has alleviated the flare ups. Fits my foot so well I have zero hesitation taking a pair straight from the box and out on a 18 mile run… it has happened! Racing Shoes: ASICS Women’s GEL-DS Racer 9 – So I have converted to racing shoes as well. I still train full time in the Asics Gel Trainer, but for my mile repeat (interval workout) and races I really like these lightweights! Running Shorts: Currently I am on the hunt for new shorts. I am super picky about fit, length, “rubbage & bunching”, and honestly I haven’t bought a new pair in over a year and a half. I would love to hear some of your suggestions! Race Singlet: Last year I mentioned that I love the Nike Dry Fit singlet for training and racing, and I still do. I still however cannot find any examples of it on sale online… I usually find them at T.J. Maxx or Marshals, and when I do I buy all of them! They fit great, wash well, and I have never had them rub or chafe my underarms. I am probably wearing it in most running pictures Ray has taken of me. Last year I also dropped the hint about this Oiselle Stripey Running Tank for a possible bunny-exchange program gift, but Ray never budged… so I bought it for myself. I really like the Oiselle gear as it is gear designed by actual women for women… and these ladies run fast. I have worn the heck out of this singlet too, but unfortunately I think they’ve stopped this particular product, so that puts me right back at square one. Sorry! Sports Bra: Champion Seamless Cami – I wasn’t going to add the “bra” options to the list because I thought it might be a little too personal, but then I came to terms that this is a pretty important piece for us ladies. I found this bra less than a year ago and now own 4-5 of them. After all of the money I have spent on overpriced and terribly fitting Nike bras, it was refreshing to find one that is really well designed and under $20!! If I ever thought they were going to stop making this bra I would buy 50 of them and keep them for rationing over the next few decades! Running Socks: Feetures Light Cushion No-Show – I cannot run with anything other than these socks. They are fitted to your arch, cushion where you need it and not where you don’t. They are advertised as men’s but they are unisex. I have tried to talk Ray out of the Balega socks for a while, I get blisters from those socks because they aren’t fitted and allow your foot to slide around, creating blisters (for me) on high intensity long workouts. I only wear the Balega’s around the house now for comfy socks. Running Anti-Chafing Product: Skin Strong SLIK – This is a fairly new product on the market. I met the makers of Skin Strong at Interbike two falls ago and they gave me a sample bottle. I really like it, does not wear off on long runs, and I prefer it to Glide body sticks. At first I was afraid it might be greasy but it wasn’t at all and didn’t leave any residue on your short/clothes. Super convenient to spray on, and if your buddy asks for a bit it isn’t as gross as sharing your body stick… think about it. Long Run Hydration: CamelBak Women’s Annadel – This has been great, the women’s fit is snug and doesn’t bounce around or rub your armpits. It holds enough water for all but the very hottest and longest training runs. For me, 50oz is a lot to drink. Plus the little pocket on the bottom is positioned that you can reach back and jimmy it open to sneak out another gel without having to break your pace. Place to stick stuff on runs: Spibelt – I introduced Ray to this specific belt and we both really like it. Because of the material it’s made of it can stretch & form to fit random shaped objects and still doesn’t bounce around. I mentally can’t handle something bouncing against my back throughout a run and this belt doesn’t do that. Hair Bands: Lishy Bands – As you might have read above, my bike helmets give me headaches, so I’m not a huge fan of putting unnecessary things around my head. But these headbands are great! The inside of the band is a velvet type material so it naturally stays in place without having to be too tight via elastic. The designer is always changing up the materials for new trends. My hands down favorite is the “Black, non-slip Sparkle”. 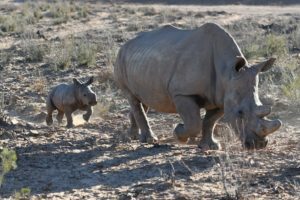 It does the job, I think it is really cute, and is tame all at the same time! She’s on Etsy, check her out. Cold Weather Running Top: Mizuno Running 1/4 zip & Nike Drifit Long Sleeve I wear a lot of cold weather gear on top, the legs can handle the cold but I have a hard time if my chest and back get too cold. I layer the crap out of what I have. Ray will sometimes count the layers to tease me. Everyone is different, but the two tops above are my current favorites. Cold Weather Running Vest: Gore Running Wear Women’s Sunlight – I’ve also added this to my cold weather running wardrobe since moving to the incredibly cold winter running here in Paris, a great wind and rain proof vest. I like having my arms free and wearing a thick long-sleeved thermal. This vest is great in keeping your chest and back warm and fits really nicely, I’m surprised I didn’t buy one sooner! Cold Weather Running Tights: Sugoi Women’s Midzero tights – I have a handful of tights that I have tested out. These are hands down the best for the cold nights! (I also wear these skiing since they are fleecy on the inside and do not have a zipper around your ankle). Ice Running: Yaktrax – We have had some very entertaining runs with these. Washington D.C’s 2010 Snowzilla had nothing on Yaktraks. We ran the entire week outside on the abandoned roads! Bike/Run Nutrition: GU Energy Gels – We have used a lot of different products over the last few years, and this is my current go to. I will admit that the EFS Liquid Shot was the best nutrition I have used to date, but I have a seriously wacky stomach and I had taken in so much of this stuff in a two year period that it now immediately sets of a gag reflex. I cannot get it down, I wish I could, but there is such a thing of having too much of a good thing. GU gels are my next preference because they are a known good, I know how my body will react and they do the job. Ray is currently loving these guys: PowerBar Energy Blasts and I have had them a few times before some intensity workouts, they haven’t caused any problems, but I’m going to have to wait on that opinion until we start getting up into the 15+ mile workouts. Btw, I like the Cola and Lemon, Ray eats the Strawberry Banana & Raspberry. Compression Gear: Zenzah Compression Leg Sleeves: These sleeves were introduced to me by the manager at my old running store/club in Alexandria. He and I both suffered from constant calf strains and tightness. Ultimately the calf problems are related to bigger badder problems like over use, tight-well-everything from the hips down, and foot plant when running, BUT in the meantime while I workout those other problems myself on foam rollers and strength training these sleeves make it possible to keep training and racing. You might remember from the Paris Marathon that I just wore one. I don’t wear them just for compression sake, I wear them usually because I have a specific strain and these sleeves provide (me) the support and compression on the right spot to make it possible to get through it. Well worth the investment if you need the support and a great post race recovery aid as well! Weight Scale: Withings WiFi Scale – I use this because Ray put it in the bathroom. It is not complicated, I step on it and it tells me my weight and how many cupcakes I’ve been eating lately. Personally I don’t have a lot of weight related goals that I track so I don’t bother with the uploading things aspect of it. Race belt: Zoot Race Belt – I have this in black. It’s easy to attach your race number, and super easy to don during transition madness. No complaints. Triathlon suit: Zoot 4” Tri short, & 2XU Women’s Tri Top – You could not force me to wear a onesie. Maybe I just don’t have enough confidence in what I would look like in a full spandex suit, but I have always been a fan of the feel of a tri top and shorts combo. These tri shorts are awesome, I can’t say anymore than that. The 2XU Tri top has gone the distance! It has a built in sports bra and has two small pockets on back for nutrition. Perfect. Transition Bag: I like to keep it really simple on race day, I don’t like to carry around more than I absolutely need. Therefore I actually use the Blue Seventy mesh bag that came with my wetsuit. It fits everything that I need and “if it doesn’t fit, it doesn’t ship”! 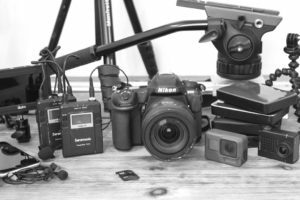 I’m a creature of habit and I really don’t like changing things up with my gear! I recommend this stuff because I really do use it and love it! And like Ray, if you have any questions – just place them as comment below and I’ll get right to answering them. Have you tried Oiselle’s Rogas or any of their other shorts? They’re kind of awesome. I second the Oiselle Rogas (I wear the long rogas). I have worn them in two marathons with no bunching up or chafing. Love the wide waistband, deep front pocket with zipper for my phone, and the back pocket with zipper. Plus I just love the company mission. Except for clothes and shoes, I feel like most of my list would read: no preference, don’t care, whatever. I did notice on your run the otherday that “Orange” wasn’t on your arm… and I was wondering if you had really changed!!! So now Ray, time to get Orange working!!! My go-to comfortable running shorts are Nike Tech 8 inch. I’ve had my current pair for a year and a half and just ordered a new pair, they sit comfortably and are longer in the legs so chafing is never an issue for me, have a little pocket to keep a key etc. I know most people prefer a looser short (and for appearance, possibly so should I…) but these have been really reliably good for me. Thanks for the list, even though it costs me $ every year. I think first indulgence might be a Alpina when I move to Milan in three weeks. Is there a particular model and basket you’ve found works best (i.e. rattles least!) on old European streets? And more importantly–have you and Ray found a lock system that works well for you? We are afraid we have to balance our commuter bike budget with replacement costs if it gets pinched by the local hoodlums. Somehow this list post always creates an increase of purchases on my end too… funny how that works. Hello fellow Newfie!!!! Do you mind sharing what size feet you have? I ask because those Blue Seventy neoprene socks don’t seem to be made small enough for little people and thus I’ve never purchased them (I just figured they would fill with water and fall off). I’d love to hear your tips on that front. As for mittens, I never thought to ask for fleece ones from the dollar store in my stocking. I’ll have to add that to the list as mine are usually handmade wool and while lovely, well, not that great for running (and runny noses). Finally, I hear you on the short problem!!! Why oh why do they keep changing the models? First there was my favorite Desoto “Tuesday Morning” short that had nice big pockets for the little things you have to carry, and they discontinued it. Then I moved to a similar styled short by Moving Comfort (nice big pockets on the side) with a yoga type waste band that I loved, and they discontinued it. My newest favorite (don’t hate me) is actually a running skort by North Face. It has hidden pockets in the short liner that you can tuck the ipod into with a little hole at the waste band to run the earphone wire through. It also has a little zipper pocket in the back but I almost never use that. Super comfy with no chaffing issues. Sadly, I bet they will discontinue it soon, so check it out! The blueseventy socks do tend to fill up on me too. I have the x-small socks and wear size 6.5-7 shoes (I go up a size for running shoes and down a size for high heels! ), the “extra water” doesn’t tend to both me, and realistically I only wear them in seriously cold water races like the Boise 70.3 from a few years ago. I remember other girls from my wave without them just couldn’t stand up on the ramp for a while and the “strippers” were actually just cupping their feet with their hands to try to warm them back up, so i’m sure if I lost a little time on the swim from the socks, it saved me on the transition. Go to the dollar store in the Avalon mall parking lot… mittens are amazing. Maybe I’ll get Ray to post the picture of them. I literally have 5-6 pairs. lululemon speed shorts. make sure you get the ones made with 4 way stretch material. I run ultras and have never had a problem with them. Plus they are super cute. I have a couple of pairs of the Lulu Run Groovy. They are pretty good, but very pricey, and definitely the four way stretch is better (i.e. plain colour not a print for the “leg” parts, even though they show the same description for all of the colours on the website, they are not the same and print fabrics are not nearly as flexible). Rookie question, but are those Champion sports bras good under tri tops during a race? They dry quick enough after the swim, etc? LOVE Ultra Swim shampoo/conditioner … I used that stuff for years growing up. Hi Susan, I don’t buy tri tops that are without a built-in sports bra. In fact I only race in the 2xu one for triathlons, so I don’t know. They are fairly thin so they will fit. However (I’m sure this is TMI here), but I don’t actually have a whole lot happening on top so I don’t need a ton of support there, and I don’t like my HR strap or sport bra elastics too tight as I find your chest is too restricted and becomes harder to breathe during long races…. so I personally would never double any sport bra with tri top/built-in, plus HR strap, you’re just asking for cramps at that point! Hope that helps? hang on, you run with a 910xt, but dont swim with it and prefer the other watch with zero functionality?!?!? what is the world coming to! Highly rec The North Face’s Better Than Naked short, tee & tank. Most comfy stuff I’ve ever worn. I have to agree on Orange. I had a 910 for 6 months and finally sold it to go back to my Orange. Crisper more readable display, better buttons, beeps I an hear, more comfortable. For most people, it has all the features you need at a bargain basement price. Maybe I just got brainwashed, but I actually got used to the way it looks even. THANK YOU! I have told Ray a hundred times that I can read the font on Orange way easier than the 910 ANNNND I find it has a sharper beep and “buzz” during auto laps, etc. I think Ray chalked it up as a “Bobbie issue”, but I would swear by it. Anyways, glad I have a support crew here! I’m starting to have what I suspect are similar problems with the 310XT – sometimes it won’t get past the satellite splash screen (the one before the satellite aquisition bar) and I have to turn it off and on a few times, and then it uploads all the workouts all over again. I swear it happens more when I travel, too. 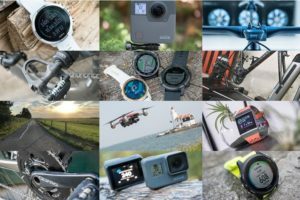 I’m looking for my next watch – because I do use the courses feature more than occasionally I guess it will be the 910XT – I wish courses were on the 610! Thanks for the lead on the mittens. My parents will be coming through St John’s in another week or so and I’ll have them pick me up a pair or two (although I may be disowned for requesting store bought mittens). Oh- PS, I’m also an Orange lover but recently switched to the 910XT and I agree, the alerts are not nearly as easy to hear/feel on the 910. I use the Nike Tempo shorts with Bodyglide. There was a beautiful brief four month period when my legs didn’t have chub rub but I forgot to run as often during winter and well, there you go. I bought them from the Nike outlet shop and when on sale as last year’s colours. Excellent. I’m a new runner and just discovered this site while researching GPS watches. I currently use an iphone app, but find it’s not consistantly accurate. I’m choosing between the 310xt and the new 220. Can get the 310 with HRM for about $200 so it seems like the better deal. However, I was worried about the size – I’ve got small wrists! So nice to hear as a small woman you love ‘orange’. No issues with size/weight? 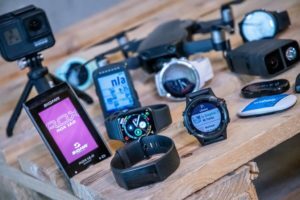 Running Watch question – I’m fairly simple in my running datal and really only care about the same data that you listed above – do you have any scaled-down running watch recommendations? I see that you liked the more feminine looking RCX3 and FR220 in the past. Would you be using one of those instead if not for the fact that 910 was dropped in your lap? Which model Alpina do you have? Another (belated) vote for the Rogas. I have a couple pairs of the Mac Rogas, and while they are very short, everything is covered & they’re super-comfortable. Seconding the question about which Alpina you have. I just want to say thank you so much for all the very detailed info on the whole blog! I’ve been contemplating a GPS watch and stumbled across your blog. After reading heaps of info on here I was tossing up between the garmin forerunner 310xt and the tom-tom multisport. After hearing that ‘the Girl’ liked the garmin so much I think I’ll go for that – unfortunately the 910xt is a bit out of my price range. I love this site and that there is a girls list. I’m just starting out and have my first half marathon in Nov. I would like to also do a triathlon maybe in 2015. If you could only get one watch with those goals in mind would you recommend the 910xt or the Fenix 2? Or just stick to the forerunner 620 for now. I’m small like you but I love tech. 🙂 thanks! Since you’re looking to do a triathlon in 2015, I’d probably wait and see where things stand by the holidays (this year). I think that’ll give folks a better idea of the offerings for next year. Perhaps look at a cheaper running watch for now till November (like a FR15? ), and then look at an upgrade at Christmas or so? Question: I read your interbike computrainer remarks. 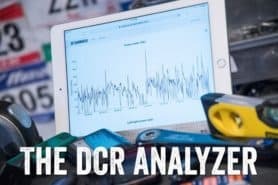 Is this a bad time to buy a computrainer? 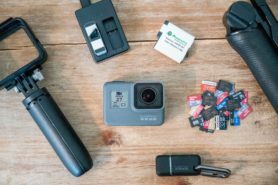 In general, I believe so, unless you get a good deal on one used – about $600US or less is my rough cutoff point. Otherwise, I’d look at much more well integrated options like the PowerBeam at a few hundred dollars more. Bought the PowerBeam last October. Excellent! Thank you so much. For your first triathlon, check out the mid-range options in that list, definitely the best bets. Enjoy and good luck! Great to read another girl’s opinion on tri gear, admittely I didn’t coincide on many items – actually, only on the zoot belt (so really vitually none), although I guess there is just so much great gear out there these days, plus I am fairly choosy about my kit. When and if you update this for 2015, it would be great if you could include bike /running sunglasses and most definitely sunscreen, both of which I absolutely cannot go without for over half the year given my hometown is, well, quite a lot further south. Finding THAT pair of sunglasses, which are super comfy on a long ride (don’t give you a headache for example), and which you won’t have to change in T2 because they are so great you just want to keep them on for the run – well it’s not always an easy task. I absolutely love Eassun, (so light, almost not there) but I’d like to hear your view too. Similarly, a sunscreen that absolutely won’t feel sticky, not even on the palms of your hands, won’t sweat off after 3km, will easily resist an active swim, and continue absolutey effective by the time you’re out there running, is VITAL, especially if you have very fair skin and happen to live in, say, Barcelona. I simply cannot do without ISDIN FUSIONFLUID gel or cream gel, link to amazon.co.uk (they guys will like the gel, and neither will leave you smelling like a coconut), for training and races, even throughout winter. (Quick girly note given I’m posting on The Girl’s page: it won’t, repeat, WON’T make you shinier than you’d be anyway). I am aware that I’m verging on bathroom cabinet territory here, but given The Girl’s list includes hairbands, shampoos and conditioners, I feel it can still very much form part of “the gear” list. Good luck for the 2015 season! Will The Girl update the list? Notably missing from your list is your bicycle saddle, because so many women, including my wife, struggle to find a comfortable one, or at least one they can tolerate for more than a few miles. If you have tried a few saddles before finding the right one for you, a little discussion about that might help a lot of women.